Create your own original avatar and fight for the Light as you discover the untold tale of Eos's decade of darkness. Join up to three friends or go it alone in a slew of new quests full of challenge and excitement—and be sure to keep an eye out for some familiar faces, including the prince and his royal retinue. 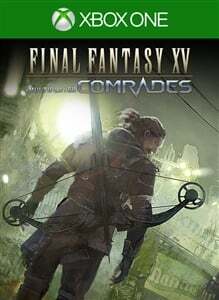 Enjoy the wide and wondrous world of FINAL FANTASY XV like never before in MULTIPLAYER: COMRADES! *Players who purchased FINAL FANTASY XV MULTIPLAYER EXPANSION: COMRADES can download FINAL FANTASY XV MULTIPLAYER: COMRADES for free. 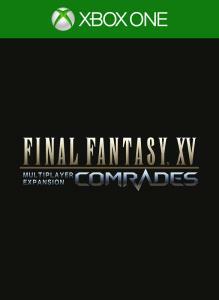 *Save data from FINAL FANTASY XV MULTIPLAYER EXPANSION: COMRADES can be transferred over. *A Xbox Live Gold membership is required to take part in online multiplayer. Unlock an entirely new FINAL FANTASY XV experience. Play online with your friends as Noct, Gladio, Ignis, and Prompto in co-op mode! 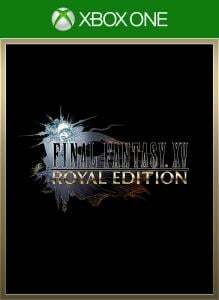 This special edition of the beloved game includes all previously released downloadable content, as well as new areas to explore and quests to conquer. 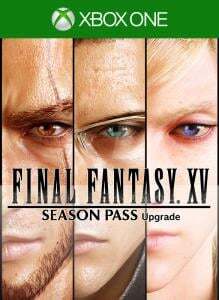 The FINAL FANTASY XV Season Pass Upgrade contains six (6) installments of additional content, including original episodes and an all-new gameplay mode, that will become available over time following the game's release, all for a special price.